Nothing grabs the mind like a finely crafted film. Memorable liners strike an instant impression, and classic imagery provides celluloid art for us to enjoy time and again. Manny Pacheco has studied motion pictures for the stars of yesteryear, he presents a review of timeless films, which also uniquely capture seldom told accounts of America's story. 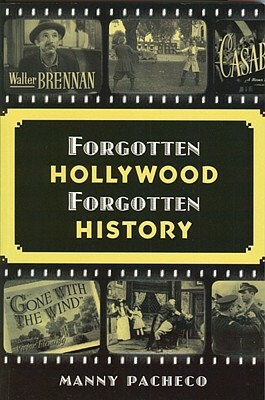 Bypassing the legendary stars from the Studio Era's Golden Age, Forgotten Hollywood Forgotten History focuses on the character actors and actresses that consistently delivered stellar performances, and it offers a bold fresh new take of our collective past.